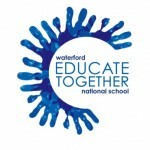 About | Waterford Educate Together N.S. 1st – 6th class: 8.50 a.m.- 2.30 p.m.
Children line up in the yard and are collected by their class teacher. The beginning of the school day is a time where there is an opportunity for the children and teacher to chat informally as they settle into the classroom and prepare for the day ahead. These few minutes at the start of the day can be very important to your child’s social and emotional development and the building of relationships with their teachers and classmates. Please try to have your child at school by 8.50 am each day to join their peers and teachers in the gathering area. You are, of course, welcome to remain in the gathering area with your child until they are collected by their teacher. Children are supervised by their class teacher as they leave the school building and are escorted to the gathering area. We appreciate your co-operation in ensuring that your child is collected promptly at the end of the school day.